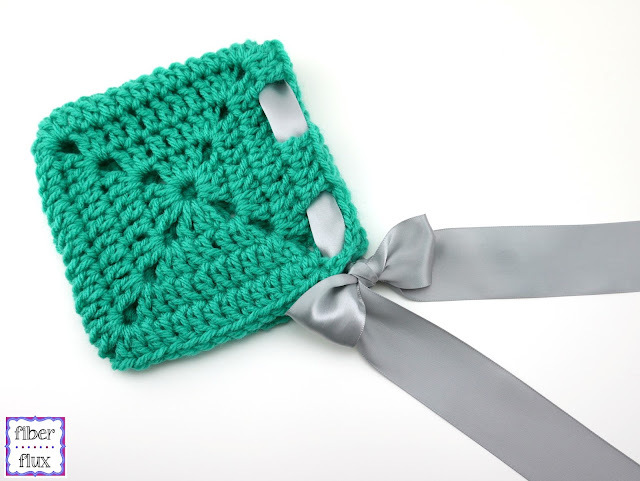 Fiber Flux: Free Crochet Pattern...The Ava Baby Bonnet! 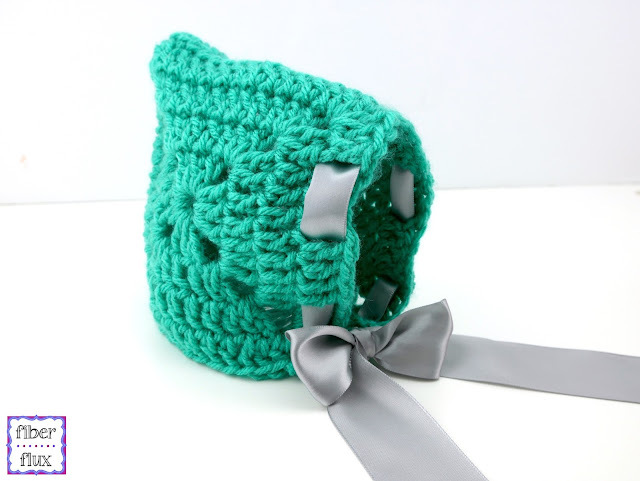 Free Crochet Pattern...The Ava Baby Bonnet! 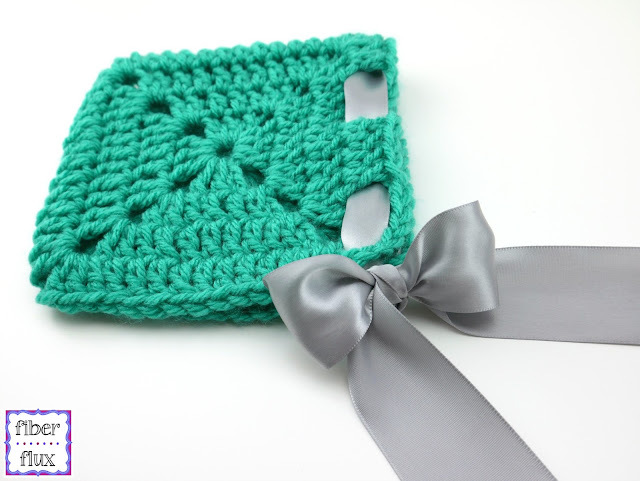 The Ava Baby Bonnet is a luxurious but super easy bonnet that is made with two solid granny squares. A fabulous wide satin ribbon keeps things in place and super soft yarn keeps baby's head cozy too! Each granny square is about 6 inches across. *Note: You can make this bonnet any size you like, simply by working more or less rounds of the granny squares. Make each square roughly half the child's head circumference. Repeat round 3 once more for bonnet sizing as shown or repeat round 3 as many times as needed for desired sizing (see "sizing" section above). Fasten off and sandwich squares together so right sides are facing outward. Beginning at the top left corner, whip stitch over to top right corner, then down to bottom right corner. Fasten off and weave in ends. Weave ribbon in and out of the front part of bonnet as shown to later be tied at chin. Trim ribbon ends at an angle for a finished look. Note: Please supervise child at all times while wearing tie on hats of any kind. Happy crocheting lovelies!